WDG’s relationships with many associations are often brought together through the need for CRM integrations. We are experts on how to create simple, convenient and streamlined sites through integration of Customer Relationship Management (CRM)/Association Management System (AMS) systems. When working with an association on their website redesign, our clients often prefer to use Salesforce as a management method because of its capabilities to integrate all facets of business in one place. 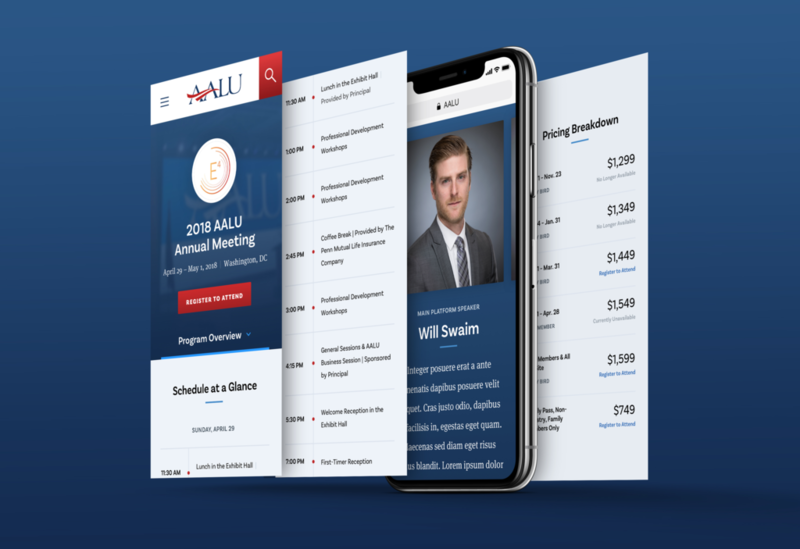 One of our most recent launched integrations, was during our redesign for AALU (Association for Advanced Life Underwriting). For this client, we included a Salesforce integration. 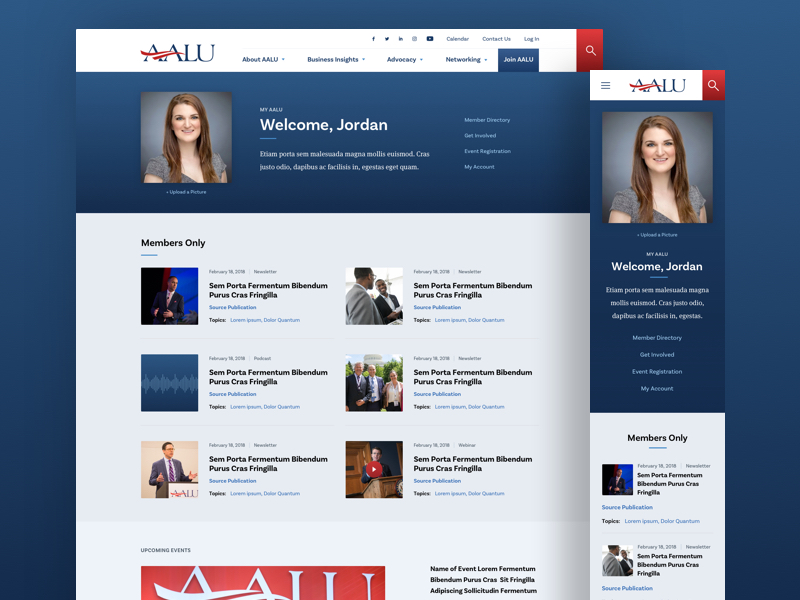 As an association, AALU needs the capability to better engage and monitor their member base. WDG was able to provide AALU with the necessary tools in order to better manage their CRM. Our team implemented Salesforce to replace and consolidate various online implementations. WDG utilizes Salesforce products for various associations. Salesforce is best known for its CRM, cloud products, and app integrations. Frequently used products include Sales Cloud, Marketing Cloud, and Community Cloud. Customer relationships are handled by focusing on sales, marketing and support processes. Our association and nonprofit clients use Salesforce donor and member analytics to influence their target user base. Our private industry, B2B, and B2G clients rely on Salesforce to track lead generation and user journeys to better understand and leverage their competitive advantages. Salesforce is beneficial to our clients because it is highly adaptive and customizable. Custom or contributed plugin Salesforce integrations are available with open source content management systems such as WordPress and Drupal. Benefits of integration are customizing the user experience, consolidating user management, and leveraging user analytics. Salesforce single-sign-on (SSO) integration allows authorization to be given for a variation of specifications. Salesforce permissions can distinguish how to customize error messages to different groups with restricted content. Audience segments respond better to customized language and offerings. Salesforce gives you the tools to allow self-identified audiences to experience content tailored to them. Tailored content helps to reinforce a reputation of providing exclusive, valuable content to members and prospective members. A number of our clients have struggled with managing multiple platforms. Salesforce provides tools to consolidate, simplify and improve user management processes. Custom Salesforce app integrations and development can generate centralized dashboards so administrators can have easy access to profile information, event registration, and reporting. A skilled development team can use the Salesforce platform to develop a variety of IT, human resources, and marketing applications. Instead of jumping around to multiple platforms to compile insights into the progress of business goals, admins can review a single view. Salesforce integrations can help you track transactions including new user registration, user profile update, returning user login, user logout, and event registration. Integration capabilities allow WDG to use AMS/CRM systems, marketing automation tools, and advertising tools to maximize revenue opportunities and expand marketing reach. We are able to create tailored user experiences, search integrations, and custom API’s through in-site searches. Through CRM/AMS systems we are able to fully integrate and use platforms like Salesforce. Contact us to speak to our experienced development team.